B&K Equipment and Crane Service (B&K) is one of the latest North American companies to discover the benefits of Grove’s new lineup of rough-terrain cranes, which have been designed and tested at Manitowoc’s Product Verification Center (PVC) to ensure dependability in a wide range of working environments. Wyalusing, Pennsylvania-based B&K has been renting two Grove GRT8100 rough-terrain cranes for over a year. The 100 USt cranes have helped to streamline operations on several of the company’s projects, including the construction of a gas-fired power plant. Sam Hess, crane manager for B&K, said that the GRT8100’s reliability and competitive load chart gave it the versatility to handle a wide array of tasks while building the plant. Shortly before construction of the power plant began in September of 2016, Hess got the chance to operate the crane himself at a hydraulic frack well, also located in Pennsylvania, and the crane’s reliability made an impact on that job, as well. The GRT8100 has been designed and built for today’s construction market with a 154 ft, five-section main boom, which provides better reach and greater versatility. The rough-terrain also has a tilting cab, impressive load charts and the benefit of extensive component testing at Manitowoc’s Product Verification Center (PVC) to ensure quality and reliability. In addition, the crane comes standard with Manitowoc’s Crane Control System (CCS), which offers operators the most intuitive interface on the market. B&K rented its GRT8100s from Stephenson Equipment, which has been providing sales and rentals of construction equipment, paving machinery and cranes since 1957. The Harrisburg, Pennsylvania-based company serves customers from six locations across its home state and New York. 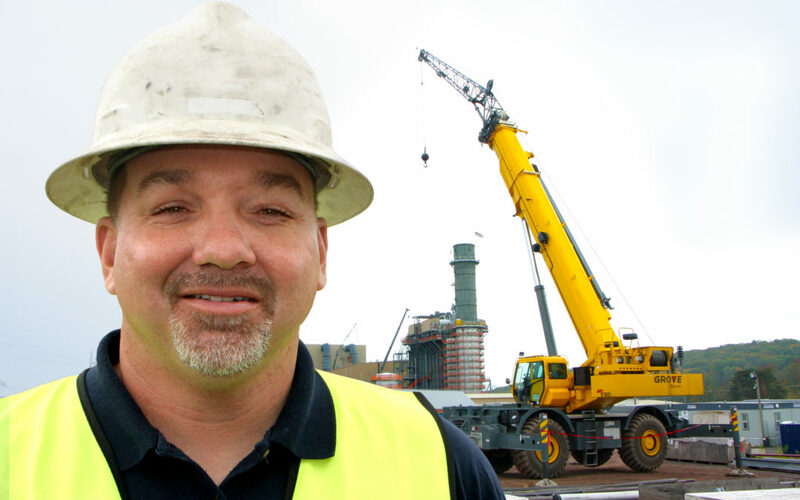 Stephenson is an official dealer of Manitowoc, Grove, National Crane and Potain cranes. B&K Equipment and Crane Service was founded in 1989 in Wyalusing, Pennsylvania. The company is family owned and operated, and has grown to comprise more than 50 employees, three locations, a fleet of trucks, trailers, cranes, oil field equipment and hundreds of construction equipment assets.